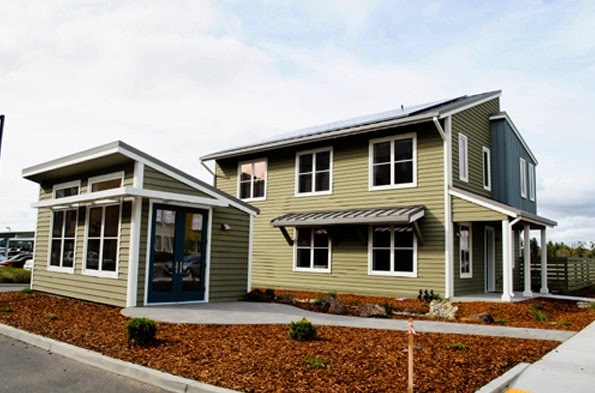 Honda has built a demonstration smart home in California that promises to generate more energy than its occupants will use. That difference is largely due to a 9.5 kW solar array on the roof. The home's occupants are unlikely to use that much energy, so it can send power to a 10 kWh lithium-ion battery for storage. That way, the home's electronics can still sip from the stored solar power when night falls. "We are focused on more than just mobility," said Michael Koenig, project leader. "As a society, we really need to look beyond just vehicles." Indeed, only about a third of an average household's carbon footprint is due to vehicle use. The Honda Smart Home aims to cut not only that, but the additional third that comes from lighting, heating, and air conditioning.